Hey hey, guys! 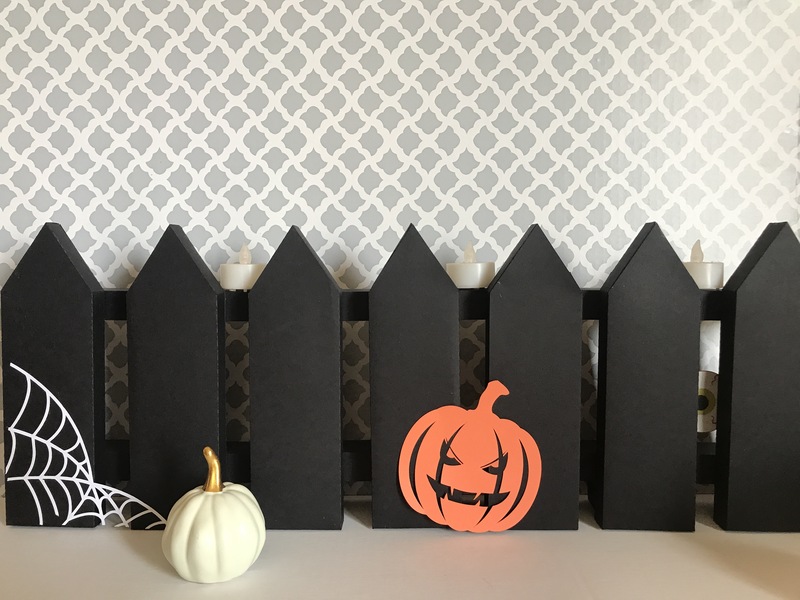 It’s getting close to Halloween crunch time, but if you’re like me and don’t start decorating until sometime in October (my son’s birthday is tomorrow, mine is the 7th, so generally I wait until after our birthdays to put out any Halloween stuff), this cardstock paper fence is super easy to assemble and makes a great impact for like what, fifteen cents? Haha! 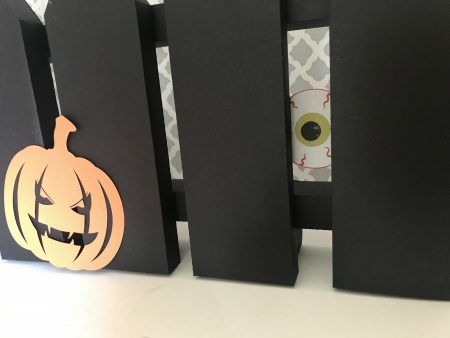 In all seriousness, this file is super easy to cut and assemble. I used 14 sheets of 65lb cardstock and despite my anxiety that I would have to cut and recut and reglue and throw away every single piece of the fence went together the first time. The cuts are pretty easy: one for the pickets, one for the cross pieces and one for the bottom pieces to make it stand on its own. 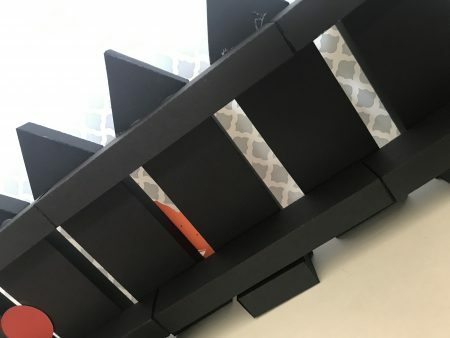 For mine I used 7 pickets, 6 cross pieces and 3 bottom pieces for bracing. Just fold on all perforations and glue tabs. I used hot glue since you can’t really put enough pressure for most other adhesives, but really it’s just so easy. I’ve included a few back photos for reference. 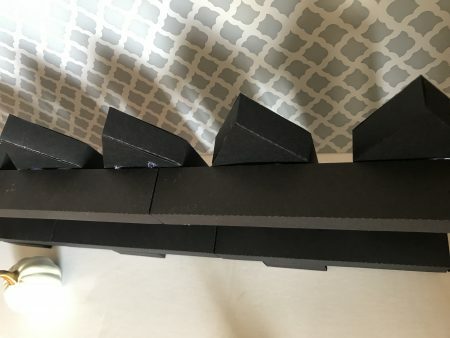 I just assembled all the pieces, attached the cross braces in sets of 3 and then glued the picket pieces to hide the ‘seams’ (where two were glued together) and distributed as evenly as I could eyeball. I hope you guys LOVE this file as much as I do! Thank you thank you thank you for supporting this project : ) See you soon!